Hello. Could anyone recommend me a decent crimping tool? I need one to crimp Molex KK pins (Open Barrel Un-insulated Crimps? ), but an option with changeable jaws in order to crimp other types of connectors would be perfect. I hear ratchet type tools are preferred? Looking for something in the 20-50€ range, but any tips are welcome - maybe they will help someone else. Any comments about Chinese tool quality? This might not be the best forum to ask in, but I figure most of us here are electronics hobbyists/professionals with valuable experience. Re: Choosing a Crimping Tool? I've had a Paladin PA1645 in my toolbox for 20 years or so, and I'm pretty spoiled by it. That's almost 3 times your price range, though. At work I've used a Hilitchi crimper and it does a good job too. I think you can get those for $20 from Amazon. A ratchet-type is definitely the way to go. I have a different crimp tool, however the HT-225D is generally reckoned to be suitable for Molex KK series crimps. It's widely available on eBay and elsewhere. Edited 1 time(s). Last edit at 09/28/2016 12:55PM by dc42. I appreciate the comments, however currently I have a different approach in mind - I've heard good things about Engineer PA-09 and I am thinking of buying those (or PA-21) plus a general no-name self-adjusting crimper for ferrules. Now I have another question. Crimpers for these openbarrel crimps have to be pretty precise in order to crimp the "wings" properly, but how about other types, such as closed barrel ones? There are dozen of different crimpers and dies for them on aliexpress - if the precision is not as important for other types of crimps, maybe it would be worth it to have a set of ratcheting type crimpers just for those type of connectors? Unless you intent to crimp several thousand terminals, you shouldn't need replacement dies. Oh, by replacement I meant different type of dies, for different connectors. Sorry for the confusion. I am using the Engineer crimpers and am perfectly happy with them. For the dupont crimps I'm using the middle ones. I have the PA-09 here, great tool! Crimping with it is more fiddly since it's a 2-step process. But, since you can see how the metal is being bent, you get a good feel of how much force is needed instead of squeezing and hoping for the best. The 1.0 die is the main reason i got it - very few hobbyist crimping tools can do 1.25mm connectors. For really big connectors most cheap chinese tools work well enough since manufacturing precision is not as important there. 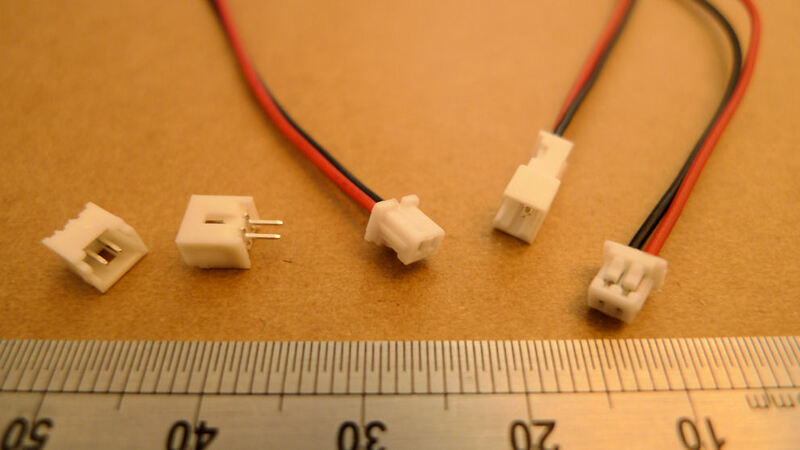 A lot of smaller fans and consumer gear use 1.25mm connectors like the ones in the linked picture so to me the PA-09 is a better choice. Especially if you're repairing consumer electronics. Edited 1 time(s). Last edit at 10/08/2016 08:06AM by Nprod.